The Texas Offshore Performance Squadron (TOPPS) was formed in 1985 in Clear Lake, Texas by a small group of high performance boating enthusiasts, many of whom had “graduated” from hot rod lake and drag boats…not to mention hot cars! 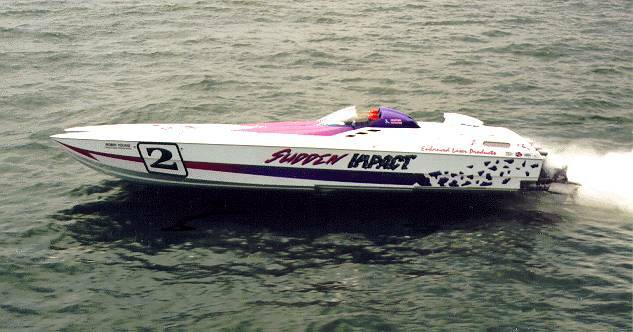 This seemed like a natural progression of the high performance life where one could get out in open waters…away from it all…open up throttles and “let it rip” without any hassles about speed limits or loud exhausts. These hot rod boating enthusiasts were not to be denied. One summer weekend day, approximately 12 captains with their boats and crews headed to Galveston, Texas from Clear Lake… cruised into Offatts Bayou and stopped at a great “watering hole” known as the Seabreeze Restaurant and Bar. On that beautiful summer day setting on the upper deck a discussion took place on the subject of starting a High Performance Boat Club. By a show of hands it was decided that a High Performance Boat Club would be fun and give others with the same mindset an opportunity to join in. A club name, logo, set of bylaws, and the election of officers soon followed. Gary Gibson was elected TOPPS first President, Max Westerfield became TOPPS second President and the club saw a quick rise in membership throughout its first decade with members’ boats topping 105 in numbers. TOPPS had a small armada of very fast boats (by mid-90’s standards) and became a force to be reckoned with on the Gulf of Mexico coast. Throughout the years TOPPS has donated over $100,000 dollars to charities like the Sunshine Kids amongst others and also to the Clear Lake Chamber of Commerce for their Fourth of July Fireworks Spectacular. TOPPS mission statement in part was to promote offshore racing…and did it ever! 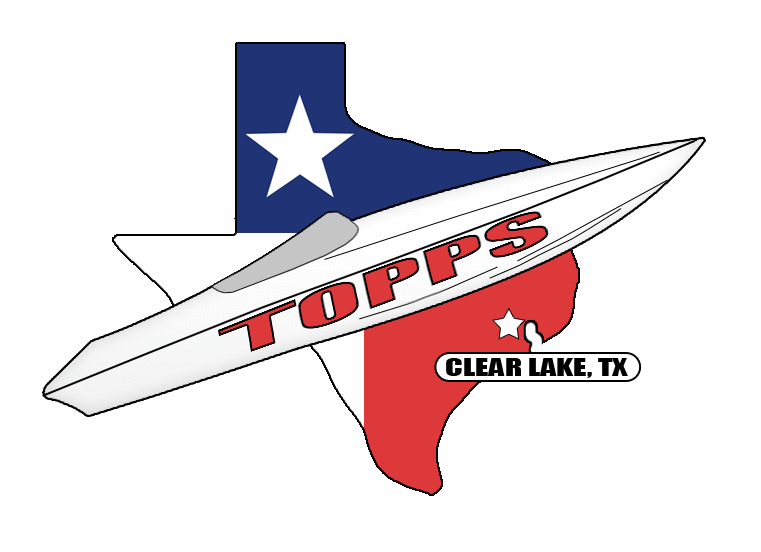 TOPPS was a club affiliated member of ABPA (American Power Boat Racing) for many years. 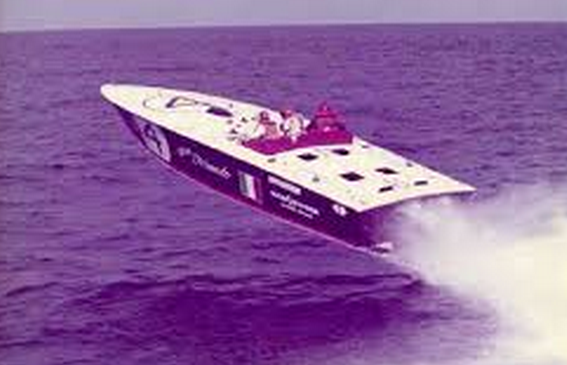 There were many TOPPS members who also raced the national offshore circuit and several were inducted into the APBA Hall of Fame including Red Adair, Curtis Morris, Bill Westberry, Curt Harbor and Rodney Rudell. Other members who also raced include Jack Carmody, Craig Edwards, Grant Greytok and Loyd Thornton just to name a few. TOPPS was also very instrumental in organizing and staffing many national offshore races, including race sites in Galveston, Corpus Christi, South Padre Island, Biloxi, New Orleans, and Key West. TOPPS members are extremely proud of the fact that they did not receive any compensation for themselves or their boats in volunteering as Medical, Patrol, Rescue and Turn boat personnel and the many members who spent countless hours of their expertise and knowledge on the Officiating and Administration of these races. With Poker Runs now dominating the high performance offshore boating scene, TOPPS can be proud of consecutive poker runs each year. TOPPS is now entering its third decade and in spite of the fact that members are sometimes strained by the cost and maintenance of the boats and the rising cost of fuel, the TOPPS Boat Club is alive and well and looking forward to the future of HIGH PERFORMANCE BOATING!